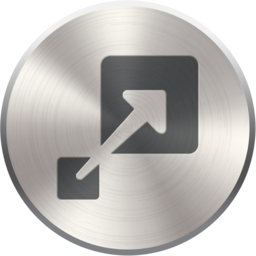 ON1 Resize 2017.7 v11.7.0.3874 (x64) Portable ~ Apps2Portable | Free Portable Apps for PC ! Organize & Resize. ON1 Resize just got a whole lot better. The NEW ON1 Resize 2017 now includes one of the fastest ways to view, cull, and edit photos–ON1 Browse. It's the new starting point for your editing and resizing workflow. Resize 2017 includes the full Browse module from ON1 Photo RAW 2017. It's a lightning-fast browser and organizer. Simply point it to any folder of photos and you can preview, sort, tag, and change metadata instantly! The Export feature in Resize 2017 makes it easy to process a single photo, a handful or hundreds of them. Not only can you control the size, but the file type, naming, location, etc. You can even apply gallery wrap or watermarks on the fly. It's perfect for batch processing small JPGs for your website or large files for print or stock. Resize 2017 features the new RAW processing engine from ON1 Photo RAW. When you browse, preview and resize RAW photos this powerful engine is used. It's much faster and maintains better color and detail. When saving out Adobe® Photoshop® PSD format files, they are compressed to half the size they used to be, losslessly. You can print from right inside of Resize 2017. Control the paper size, margins and printer profiles for the ultimate print. Access your photos no matter where they are stored: your computer, your network, or on cloud-based storage services. ON1 Resize 2017 works as both a plug-in for both Photoshop® and Lightroom® and as a standalone application. You get lightning fast photo browsing for culling and organizing with the powerful features of a catalog system to stay organized. It's the best of both worlds. The open system also allows you to connect with popular cloud storage systems, giving you access to your photos anywhere. Get the highest quality photo enlargements with Genuine Fractals® technology—patented, fractal-based interpolation algorithms—that quickly enlarge your images without loss of sharpness or detail.